Cheesecake, oh cheesecake! I love the stuff – in all forms, shapes, sizes and flavors and with (almost) any topping. My Pumpkin Pie Cheesecake is a tweak on the best cheesecake in the world, Caramel Macadamia Cheesecake by Ottolenghi, and it is phenomenal. 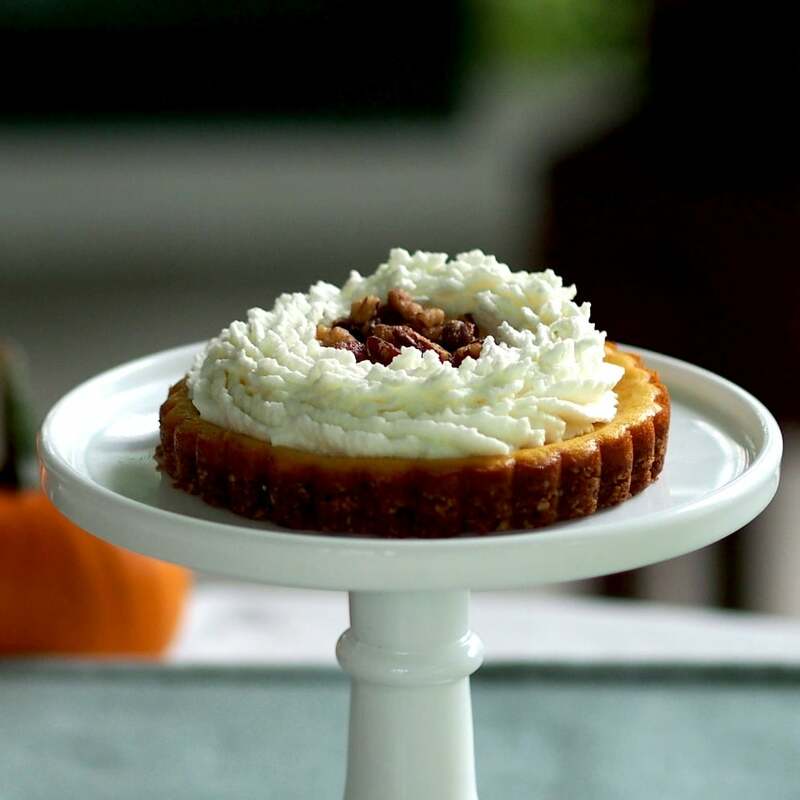 This Pumpkin Pie Cheesecake is terrific even without the gorgeous embellishments, but with all the “good-stuff” added on top, it shoots into the stratosphere (and, one important element – all flaws are hidden). I know many great cooks who have never made a cheesecake and I wonder if it is due to fear-of-failure. I have made several cheesecakes over the years and have never made one that was inedible. I have made a few that were less than stellar, as far as their appearance, but never have made one that didn’t taste good. My point is this – do NOT be afraid! If the cheesecake falls a little in the middle or has a huge split in it – who cares and who will ever know unless you tell them. I guess I should confess since it is so obvious; I became distracted and over-baked my 9-inch cheesecake – the one in the above photos, and it had huge splits in it. But – see what I mean? You would never have known about the split after the cake was decorated had I not told you. The embellishments on top transform what some would consider a total loss into something beautiful. Even without the caramel, it is like magic! One special addition to this cheesecake is the Mascarpone Whipped Cream. 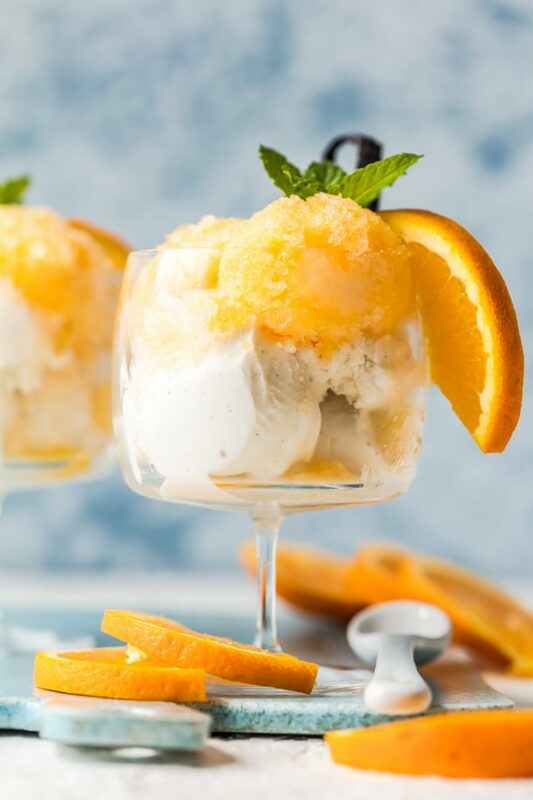 When mascarpone and a little powdered sugar is added to whipped cream; the cream stabilizes and will keep beautifully in the fridge for a few days. 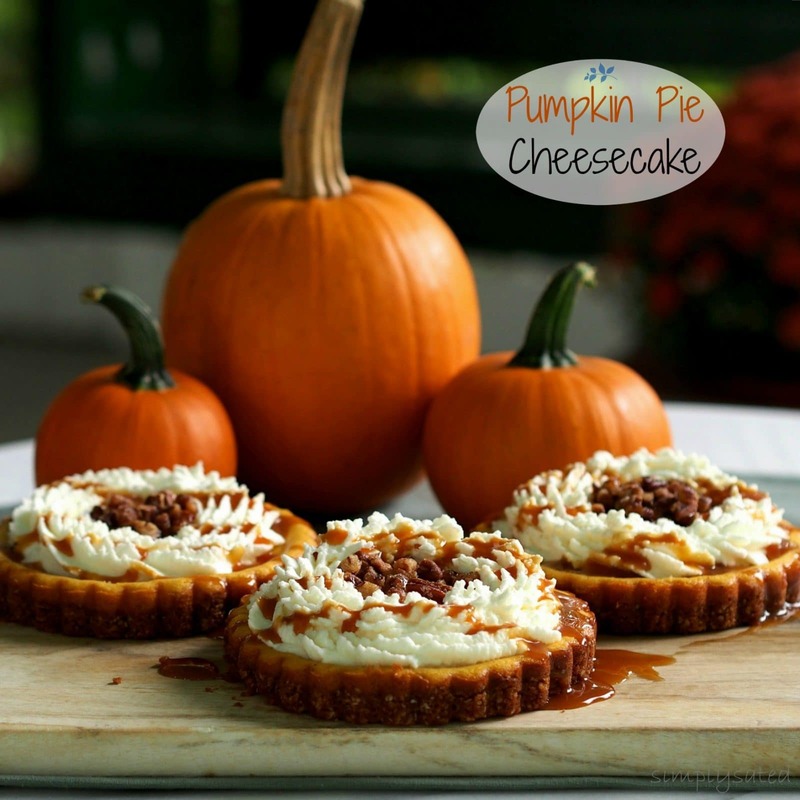 It is very tasty, isn’t overly sweet and is a terrific addition to desserts such as pecan pie, chocolate cupcakes, carrot cake and so many others. It is a must-have recipe. There are a couple of tricks to keep in mind when baking a cheesecake: #1. Once the cake is almost set in the middle, turn off the heat the last 5-8 minutes of baking. Prolonged heat can cause the cake to split on top. #2. Do NOT overbeat the cheese mixture – too much air can be incorporated into the batter. During the baking process that air is released, which causes the top to split. So, come on, join the fun and make this your first (or thousandth) cheesecake. **A huge thanks to Lissy Early, an excellent photographer, a friend of my daughter’s (Becky) from high school and a dear family friend. Lissy was kind enough to give me some much-needed personal instruction on food photography. She was the photographer for Becky’s wedding and, when she heard my urgent pleas (and saw some of my photos) came over asap. I’m not saying my photography is anywhere near professional now, but Lissy gave me several terrific tips and tons of suggestions. Before she arrived, I had taken some of the photos above (can you tell which ones?) and after she left my house, I quickly took the photos of the finished caramel-topped cheesecake in the photos above. I can certainly see an improvement and these are some of my best photos. Now, not only do I have Becky on speed-dial; I also have Lissy. Lissy has her own photography business, Miss Prissiness Photography and truly has a gift – especially working with children and babies. If you want some gorgeous photos taken, contact Lissy – you will be so glad you did. Thanks a million, Lissy. YOU ARE THE BEST!! 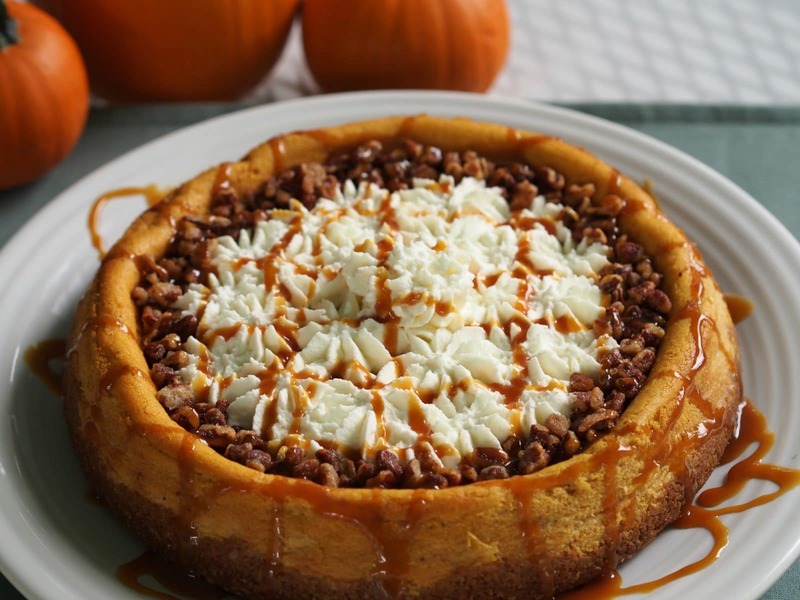 WOW your family and friends with this (somewhat) easy and elegant Pumpkin Pie Cheesecake. 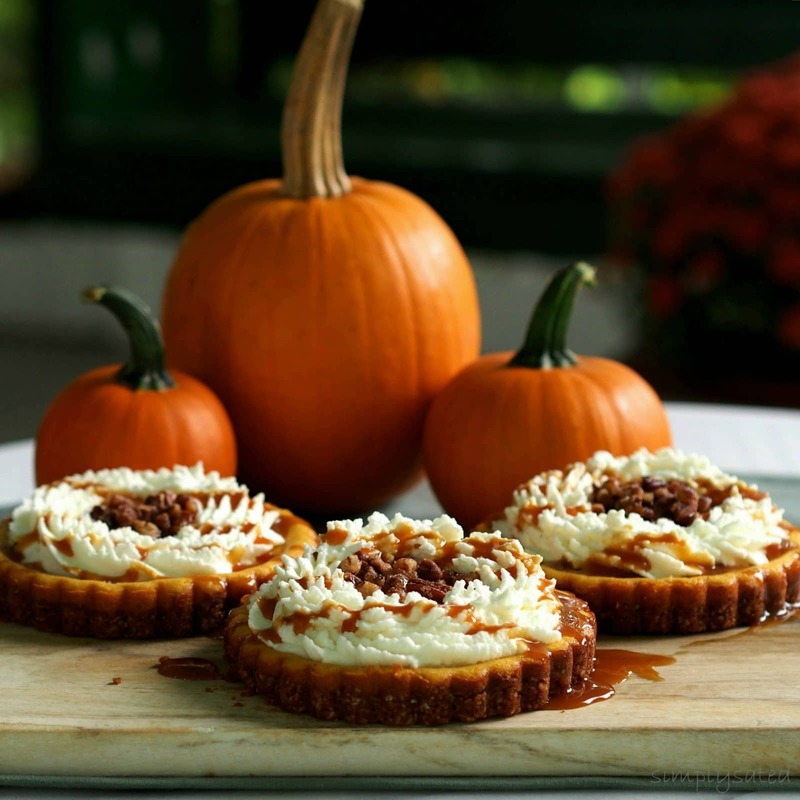 It is a perfect dessert to serve at any fall gathering or a cozy evening at home. ½ cup caster sugar or finely-ground sugar to finely-grind sugar, process it awhile in the food-processor - don't process to long or you will have powdered sugar. Lightly grease a springform cake tin or mini tart pans and line the base and sides with baking parchment. Lightly spray the parchment with cooking spray. If using non-stick mini tart pans, there is no need for the parchment, but do lightly spray the pans. 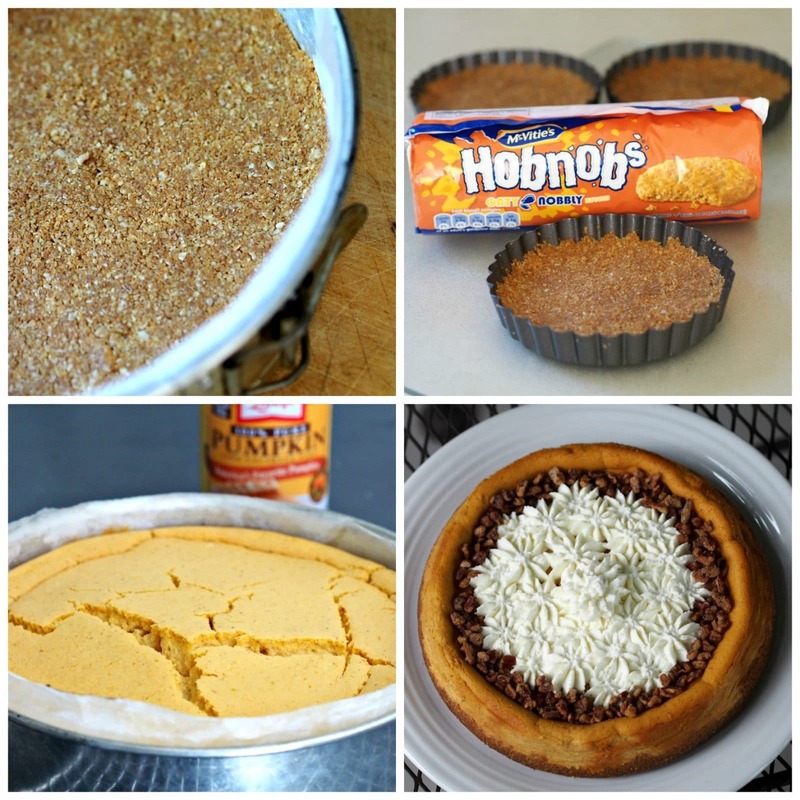 To make the crust: put the hobnobs through a food processor until crushed, or put in a plastic bag and crush with rolling pin or mallet. Mix with the melted butter until a sandy consistency is formed. Cover the base of the lined tin with the crushed crust mixture and flatten it with the back of a spoon to make a level base. Push it slightly up the sides of the pan for a beautiful, finished look. Be sure to pack down the crust. Mix the sugar and cream cheese on low speed with an electric mixer until smooth. Add the eggs one at a time and mix just until smooth. Add the vanilla, sour cream and pumpkin, flour and spices and mix just until smooth. Pour the mixture over the graham cracker base. Place the cheesecake on a foil or parchment-lined baking sheet. Bake for 60-70 minutes until almost set. Turn off the oven and bake until the center is set. Do NOT overbake. To check to see if it is done, insert a thin knife in the center and it should come out clean. Remove the cake from the oven and set aside on a cooling rack to cool to room temperature. Once the cake has cooked, remove it from the tin. I left the cake on the base until transferring it to a cake plate. Chill the cake for at least two hours in the fridge before serving. Place heavy cream in a clean mixer bowl and, with the whisk attachment, mix until it starts to thicken. Add the powdered sugar and Mascarpone cream. Continue whisking until it is the desired consistency, but don’t beat it too long – you sure don’t to make butter. Place the Whipped cream in a decorator’s bag fitted with a decorator tip and pipe the cream on top or fill a Ziploc bag and cut a small opening in one corner to squeeze out the cream…or just spoon the whipped cream on top. Sprinkle with the Honey Roasted Pecans and drizzle with the Caramel. The cake can be decorated as easily as you wish. This cake can be made one day before serving, but drizzle the caramel on right before serving – be sure to keep it in an airtight container in the fridge. **There are a couple of tricks to keep in mind when baking a cheesecake: #1. Once the cake is almost set in the middle, turn off the heat the last 5-8 minutes of baking. Prolonged heat can cause the cake to split on top. #2. Do NOT overbeat the cheese mixture – too much air can be incorporated into the batter. During the baking process, that air is released which causes the top to split. Susie, this looks amazing and I love the photo! 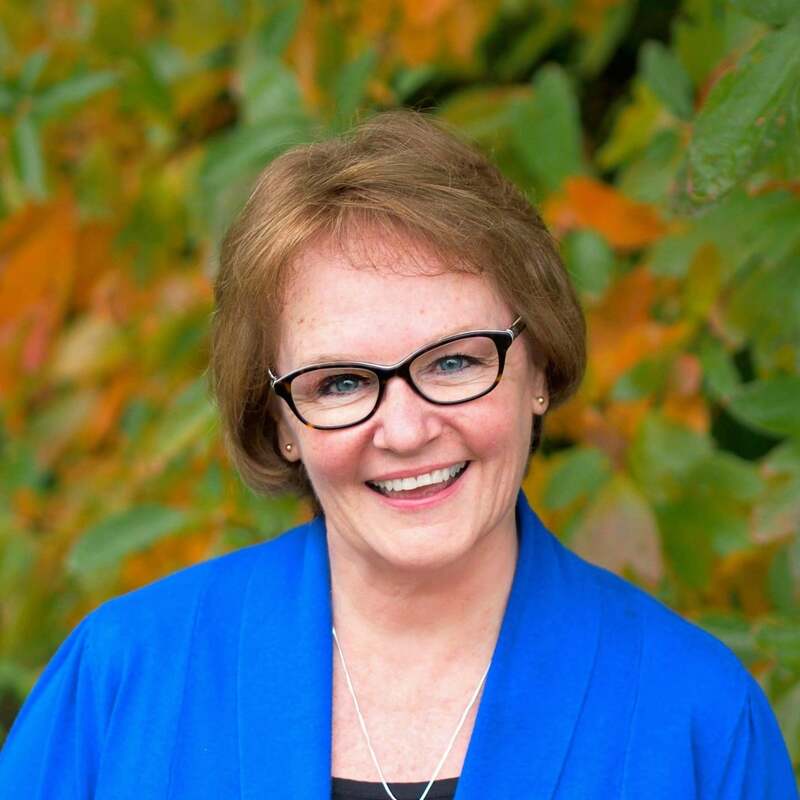 Thanks so much, Patty, and thanks for coming by! I like your recipe and I love your ideas. Your pics are great too. Thanks Rini for coming by Simply Sated and for such sweet comments!! 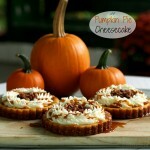 Fantastic recipe for pumpkin cheese cake with stunning photos; very nicely done! Thank you, Dan! Your comments mean a lot and I really appreciate you taking time to comment...hope all is going well with Platter Talk! I like the valuable info you provide in your articles. I'll bookmark your weblog and check again here frequently. I am quite certain I'll learn a lot of new stuff right here! Good luck for the next! 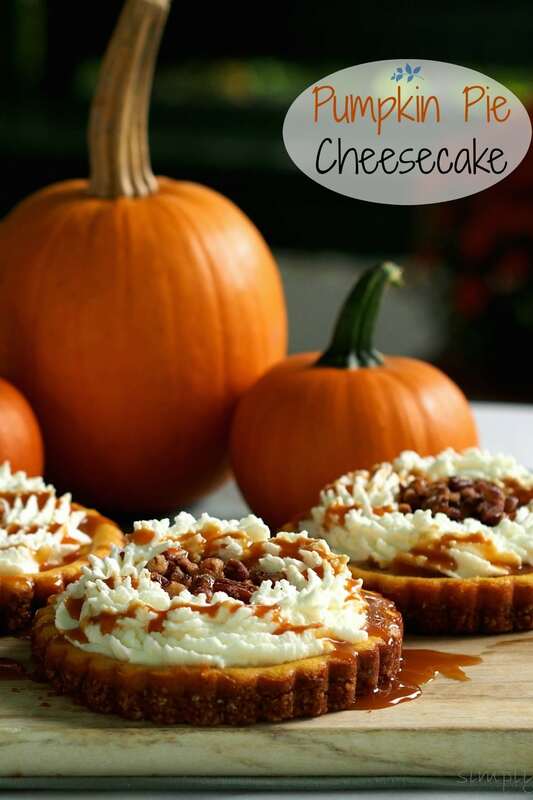 What a gorgeous fall dessert Susie!